Boyko, John. "American Civil War and Canada". The Canadian Encyclopedia, 18 December 2017, Historica Canada. https://www.thecanadianencyclopedia.ca/en/article/american-civil-war. Accessed 25 April 2019. Many factors led to the outbreak of war, but the most significant was slavery. The idea at the heart of the 1776 American Declaration of Independence was that every man was created equal, but the 1787 American Constitution ensured that slavery, the ownership and forced labour of human beings, could continue to exist. Northern states were based primarily on small farms and growing cities that did not need slave labour and so many of them gradually abolished slavery. Southern states, however, had large plantations growing cotton that was picked by enslaved people and so, to them, slavery was not a moral question, but an economic necessity. Thousands of enslaved people escaped and endured perilous journeys to what would become Canada in order to enjoy freedom where slavery had been abolished (see Slavery Abolition Act, 1833). Many runaway slaves made it north on their own, while others were helped with food, lodging and directions by Americans who maintained secret and illegal escape routes called the Underground Railroad. Southerners were infuriated that British North American colonies acted as sanctuaries and so they passed laws to stop fugitive slaves — all of which added to tensions between northern and southern states (see Fugitive Slave Act of 1850). In 1860, Abraham Lincoln was elected president, partly on the promise that when new states were created they would be free, that is, without slavery. This pledge, he thought, would eventually end slavery. Southerners saw him and the anti-slavery idea as a threat to their wealth and way of life. Between Lincoln’s election in November and his becoming president the following March, seven southern states seceded, or withdrew, from the United States. The southern states created their own country called the Confederate States of America. Lincoln said that secession was illegal and refused to acknowledge the new country. After southern (Confederate) and northern (Union) troops fired on each other at Fort Sumter, off the coast of Charleston, South Carolina, four more southern states seceded and joined the Confederacy. Lincoln called for the creation of a Union army to attack the rebels and reunite the country. The Confederate president, Jefferson Davis, also built an army, claiming it was needed to defend his new country against a foreign aggressor. The war’s first major battle occurred in July 1861, just outside of Washington, DC, near Manassas, Virginia. At the war’s outset, what is now Canada was comprised of the British colonies of Canada West and Canada East (now Ontario and Québec) and the Maritime colonies of Nova Scotia, New Brunswick, Prince Edward Island and Newfoundland. Britain declared itself neutral; that is, it would support neither the Union nor the Confederacy. As a result, Canada and the Maritimes were also neutral. Despite the official stance, the majority of Canadian and Maritime newspapers sympathized with the South, not because they supported slavery, but because they saw the Confederacy as a small power defying a distant, larger one that was not protecting its interests. Many Canadians and Maritimers opposed Lincoln because he said the war was not about freeing slaves but was about reuniting his country or, as he phrased it, preserving the union. Many Canadian and Maritime business people sold weapons and offered other support to both sides. 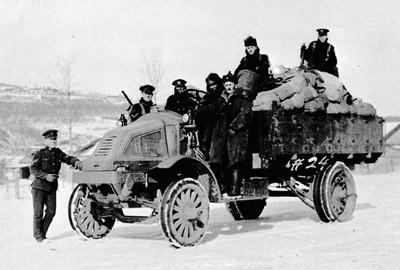 Record keeping was rather shoddy, and so exact numbers are impossible to determine, but about 40,000 Canadians and Maritimers served in the war. Despite sympathies for the Confederacy, most fought for the North. Some were working in the United States when the war began and volunteered with local regiments. Others left Canada to enlist. Some were tricked, bribed and even kidnapped by ruthless American recruiters, called crimpers. Canadian and Maritime soldiers and sailors fought in nearly every battle of the American Civil War. By the war’s end, many had become officers and 29 had won the Congressional Medal of Honor, the highest military honour in the United States. The Trent Affair threatened to directly involve Canada in the Civil War. In international waters near Cuba, on 8 November 1861, a Union ship stopped Trent, a British merchant ship and mail packet. Two Confederate officials were taken from Trent and arrested. Britain pledged to declare war on the United States unless the men were released and Lincoln apologized. Meanwhile, Britain sent thousands of soldiers to Canada and the Maritimes to prepare for the war that it predicted would begin with Americans marching north. Lincoln was advised to invade Canada, but said he would fight only one war at a time. He did not apologize, but the men were freed and the crisis subsided. Canadian sympathies for the Confederate cause were demonstrated in December 1863 when a small group of Confederates and their Maritime supporters captured the Union steamer Chesapeake off the coast of Cape Cod and diverted it to Saint John, New Brunswick, to refuel. The hijackers were joined by two men from Halifax, but shortly afterwards the Chesapeake was captured by an American ship that towed it into Halifax harbour. It was met by a mob who shouted abuse at the Americans. The melee that ensued helped the Halifax men, who were being taken from the ship, to escape. The incident, dubbed the Chesapeake Affair, enraged many Americans, who claimed it was a violation of British neutrality and the extradition clause of the British-American Webster-Ashburton Treaty. By late 1863, the Union was winning major battles, and the Confederacy was running short of recruits, weapons and money. To pester the Union and try to bring about a negotiated peace that would guarantee its continued existence, Confederate President Jefferson Davis sent lieutenant colonel Jacob Thompson to establish a second front from Canada. Thompson set up headquarters in Montréal and Toronto. He organized raids to free Confederates from Union prison camps, attacked Union ships on the Great Lakes, disrupted the Republican Party convention that was nominating Lincoln to run again for president, and even sent agents who set fire to theatres and hotels in New York City. John Wilkes Booth also travelled to Montréal, where he spent some time planning Lincoln’s assassination. Thompson’s greatest success was the St. Albans Raid. On 19 October 1864, Confederate agents left Montréal for St. Albans, Vermont, where they gathered and harassed the townsfolk at gunpoint, robbed banks and then fled back over the border. They were chased by a St. Albans posse that ignored the border, but a British soldier intervened and arrested the 14 raiders. A Canadian judge released the raiders, and the stolen money even ended up back with them. Americans were outraged, and many northern newspapers demanded that Lincoln invade Canada. However, a new set of trials and arrests helped cool tempers. Many of the raiders were in custody when the war was drawing to a close in April 1865. Confederate raiders (after the raid on St. Albans, Vermont) stand outside the Montréal jail, 1864. By the late 1850s, the Canadian and Maritime colonies were in trouble. Their economies were weak and debts were high. Their economic future looked even worse when Britain ended a trade deal with the colonies and the United States announced its intention to do the same (see Reciprocity). The colonial governments were poorly structured and ineffective — and their ability to defend themselves was nearly non-existent. Many powerful British leaders advocated cutting ties with the troublesome and expensive colonies and encouraged them to become more independent. Canadians and Maritimers were also aware of the threat of the United States annexing or invading them because of its popular idea of Manifest Destiny, which said that the United States was destined to own all of North America. All of these factors had led Canadian and Maritime politicians to consider strengthening the small, weak colonies by joining them into a bigger, richer, more defendable unit, but nothing had come of it. Lincoln’s 1860 election had placed one of Manifest Destiny’s strongest proponents, William Henry Seward, in the powerful position of secretary of state. Then, the Civil War made the threat of American invasion more likely, while the number of British political leaders who were eager to cut support for the North American colonies increased. The time for colonial unification, Confederation, had come. Representatives from the Province of Canada and the Maritime colonies met in September and again in October 1864, first in Charlottetown and then in Québec City. 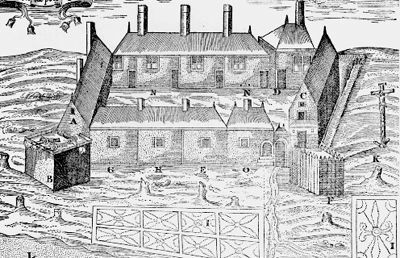 The St. Albans Raid occurred while the delegates were meeting in Québec, emphasizing the importance of their deliberations. Finally, though Newfoundland and Prince Edward Island decided not to join, the others agreed to create a new country comprised of Ontario, Québec, Nova Scotia and New Brunswick. The new state they designed was based on the British ideas of monarchism and governing through a parliamentary system with an elected lower house (House of Commons) and an appointed upper house (Senate). From the United States, they adopted a written constitution and the establishment of a federal system, meaning that there would be a (central) federal government and (subnational) provincial governments. John A. Macdonald and the other Fathers of Confederation believed that one of the causes of the Civil War was that America’s state governments were too powerful, and so they placed more power with Canada’s federal government. The Civil War ended in 1865, with many Canadians and Maritimers still deciding whether to support Confederation. In 1866, groups of Irish-American Civil War veterans, called Fenians, crossed the border in armed attempts to take Canada hostage and trade it for Ireland’s independence from Britain. Though the Fenian Raids failed, they were a reminder that the United States posed a threat to Canadian sovereignty. 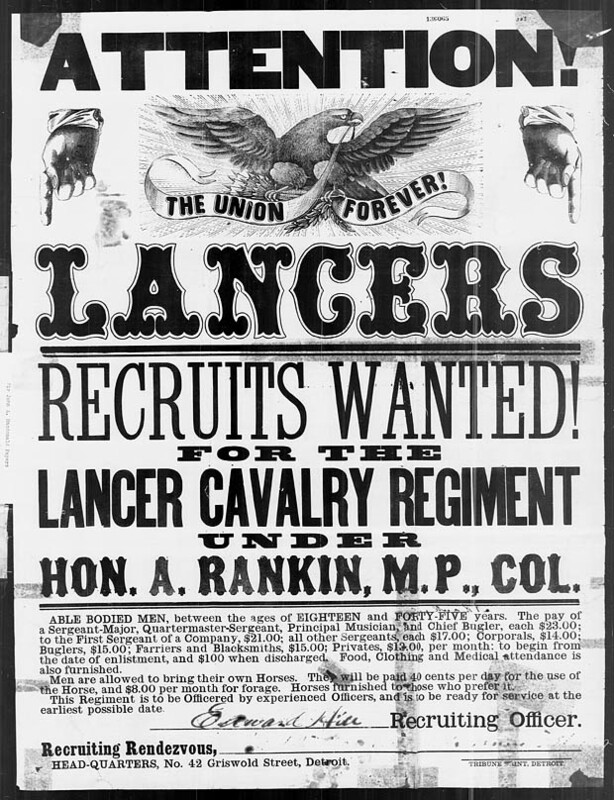 As a result, they encouraged support for Confederation (see Fenian Raids exhibit). On 1 July 1867, Confederation was proclaimed, and Canada became an independent country. The Civil War continued to have an impact in Canada for many years after the conflict ended in 1865. Many Americans remained upset over Canadian and Maritime actions during the war and were upset over the fact that many Confederate generals and even President Jefferson Davis had fled there after the war. Even more Americans were upset that Britain had helped the Confederacy in a number of ways during the war, including allowing ships to be built in Britain that became part of the Confederate navy. The United States declared that Britain had to pay for its actions during the war, and the chairman of the Senate Foreign Relations Committee suggested the price at an astronomical $2.125 billion. It became known as the Alabama Claims, named after the deadliest of the British-built ships that, as part of the Confederate navy, destroyed or captured nearly 60 Union ships (see Alabama). British and American officials discussed the option of the United States taking Canadian territory instead of the money. The idea was supported by US President Ulysses S. Grant, who, like many Americans, believed in Manifest Destiny. A conference was held in Washington in 1871 to settle the issue, with Prime Minister Sir John A. Macdonald representing Canada. The conference led to the adoption of the Treaty of Washington. Macdonald’s exceptional negotiation skills resulted in Canada winning a number of trade concessions from the US, compensation from Britain in lieu of the US paying for damage caused by the Fenian Raids, and an end to the idea of swapping Canada for the settlement of the Alabama Claims. Also important was that the treaty would only come into effect when it was ratified by the British and US governments and, significantly, the Canadian government. In this way, the Treaty of Washington was the last battle of the American Civil War and an early recognition of Canada’s independence. 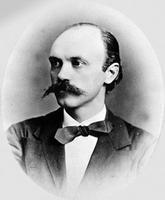 Calixa Lavallée, who composed the music for “O Canada,” enlisted as a “musician, first class” in the Fourth Rhode Island Regiment of the Union Army in September 1861. He is believed to have been wounded in the leg at the Battle of Antietam in Maryland. He was discharged in October 1862 and returned to Canada East the following year. Captain Edward P. Doherty helped capture John Wilkes Booth, who assassinated US President Abraham Lincoln. 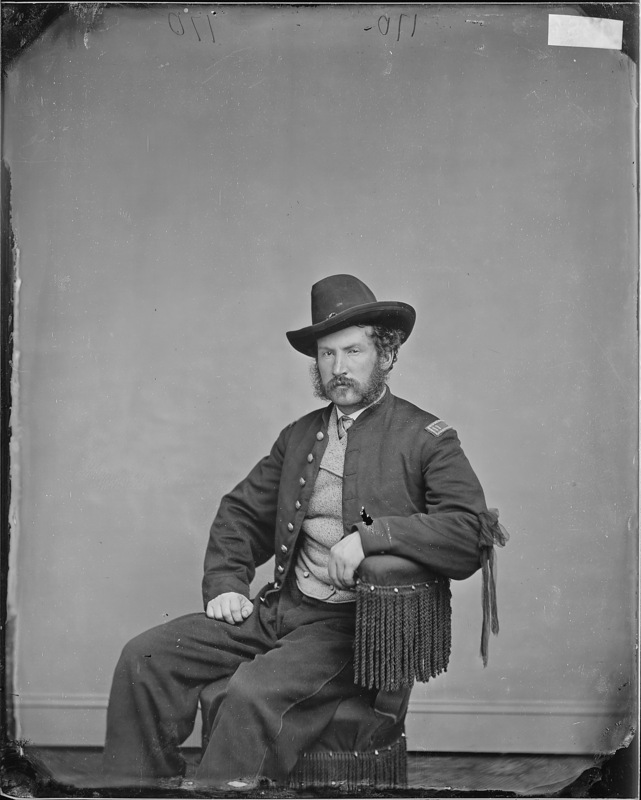 Edward P. Doherty, from Wickham, Lower Canada, led the detachment of the 16th New York Cavalrythat found and killed Lincoln’s assassin, John Wilkes Booth, in Virginia. 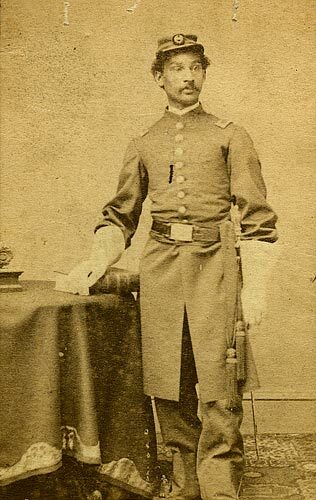 Anderson Abbott, the first Canadian-born Black person to graduate from medical school, served the Union Army as a civilian surgeon in several Washington, DC, hospitals. Sarah Edmonds, a Canadian woman who disguised herself as a man under the name Frank Thompson, served as a nurse and spy for the Union Army in the American Civil War. 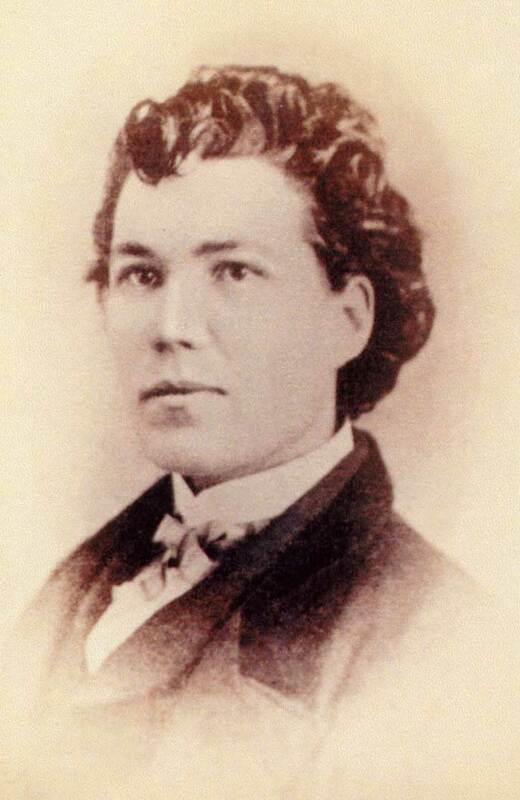 Sarah Edmonds disguised herself as a man (alias Franklin Thompson) and served as a male nurse in the Union Army. According to her autobiography, she conducted numerous spy missions behind Confederate lines.